Showing 36 articles from August 6, 2014. LOUISBURG — Franklin County Commissioners agreed to buy a golf course with the goal of turning it into a county park. The decision to enter into a purchase agreement was made before an appraisal was done and was voted on by a commissioner with alleged family ties to the property. The county agreed to offer First Citizens Bank $700,000 to buy Bull Creek Golf and Country Club, which has been in foreclosure since February. LOUISBURG — A former county airport employee took its director to task over issues of safety, while also making allegations that he aided in revenue dodging. Bruce Allen resigned his position as an operations specialist at Triangle North Executive Airport on July 31. On Monday, Allen levied a number of allegations, impugning management at the airport. Above, Hannah Haley shows off her riding skills atop Zip during a demonstration at Wildwynn Stables during the 19th Annual Franklin County Horse Farm Tour on Aug. 1. 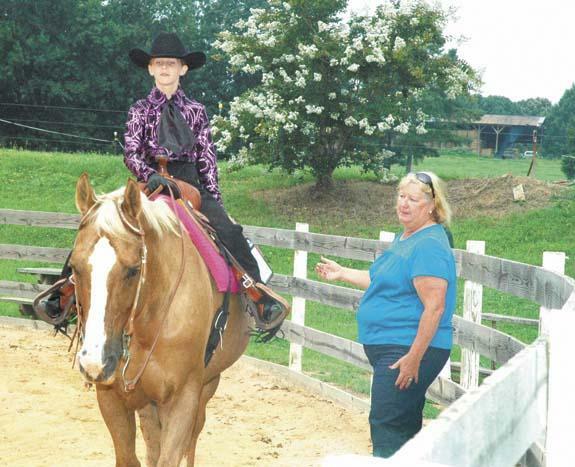 Cynthia Cook, in the blue shirt, keeps a watchful eye on one of her students during the demonstration. RALEIGH — Two plus two equals four or not for long, depending on the view from the legislative aisle. Republican State Sen. Chad Barefoot touts the $21.2 billion budget as providing school teachers with the largest pay raise in history — 7 percent. Democratic State Rep. Bobbie Richardson said the budget lacks a long-term commitment to raising teacher pay. GMOs: Not okay for ducks but good enough for kids? Let’s start this week with a conundrum which my dictionary defines as a confusing and difficult problem or question. Except in this case, amusement isn’t the word we’re looking for since it involves our environment and what we feed ourselves, our kids and our grandkids. Fracking is not safe! Will NC officials learn? Well, folks, the debate over the safety of fracking is over — and it’s at least as bad as we feared. The tiny Southeastern Ohio village of Clarington, which is nestled near the picturesque banks of the mighty Ohio River, was the site of a massive fracking fire over the last 30 days that, as bad as it was, could have been much worse if the area had not been so isolated. So, the county moved a step closer to a county park. It’s hard to jump for joy, though. It’s been four and a half years since Edgar Owens left Franklin County nearly $1 million to build a county park, so being on the cusp of that reality should generate warm and fuzzy feelings. The current Congress is well on track to be the least productive in American history, eclipsing its predecessor for that dubious distinction. I contend, not coincidentally, they are the two Congresses with Tea Party influence. I perused something out of Eric Cantor’s office the other day and it may have given another hint as to the lack of productivity. Enough said? Well, maybe not! “Enough said, don’t expect me to revisit this again.” That was the response from the county Democratic Party to issues and questions I raised last month about tactics used to manipulate elections. 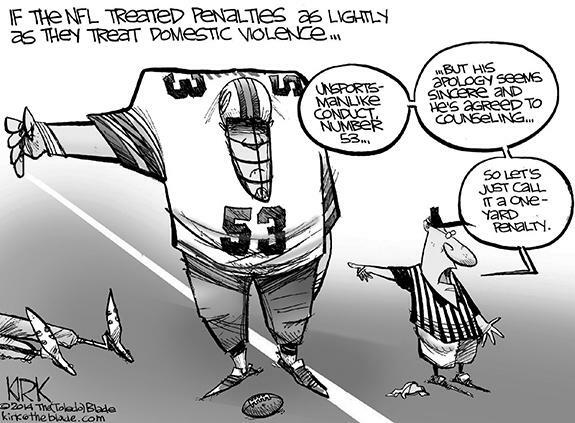 I understand why he does not want to talk about this. 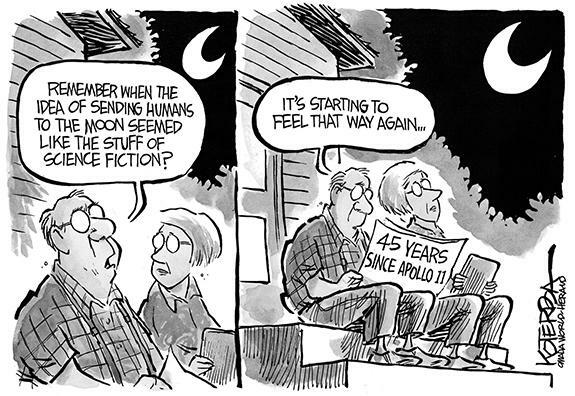 A politician soon learns the safest reply to a hard question is no reply at all, or to simply deny, deny, deny. I wish to make your readers aware of an exciting initiative of the Tar River Center for History and Culture (TRCHC) at Louisburg College. NORTH MYRTLE BEACH, SC - James Erskin Young, 88, died Saturday, Aug. 2, 2014 at his home in North Myrtle Beach. There will be a celebration of his life on Saturday, Aug. 9, at the First Baptist Church of North Myrtle Beach, (200 Highway 17, Ocean Drive section). 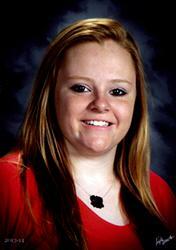 Visitation will be from 11 to 11:45 a.m., and the memorial service will begin at noon. Cremains will be interred at Forest Lawn Cemetery in Tabor City at 4 p.m.
LOUISBURG – Marina Ann Arnold, 84, died Tuesday afternoon, Aug. 5, 2014 at Franklin Oaks. A graveside service will be held at 3 p.m. Thursday, Aug. 7, at New Hope Christian Church cemetery with the Rev. Steve Barham officiating. The family will receive friends immediately following the service. LOUISBURG - Funeral services for Pauline Mann, 84, who died Monday, Aug. 4, 2014, will be held at 2 p.m. Saturday, Aug. 9, at South Main Street Baptist Church, with the Rev. David Rosby officiating. Burial will follow in the M. H. Jones Cemetery. READY TO ROAR. Franklinton’s Stephen Fritz shouts his approval during pre-practice stretching drills Tuesday evening on the FHS campus. FRANKLINTON -- Jeremy Buck hit the ground running when he became Franklinton’s head football coach two years ago -- and he hasn’t stopped since. 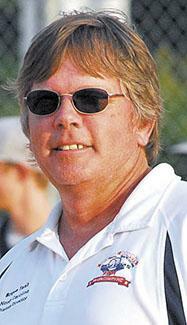 Buck guided his club to 17 victories over that stretch, and a pair of appearances in the Class 2-AA State Playoffs. But Buck and his Red Rams may be at a temporary crossroads this fall following the graduation of several outstanding seniors. WE’RE NO. 1. 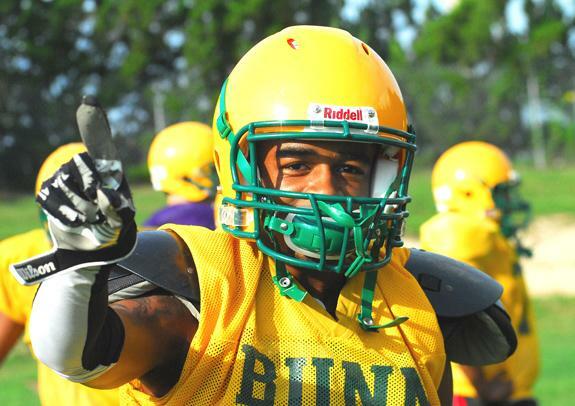 It’s still the preseason, but Bunn High School’s T.J. Jones has a good idea as to which team will finish atop the competitive Northern Carolina Conference football standings -- his Wildcats. BUNN - When David Howle came out of retirement last year to coach the Bunn High School football program once again, it was under the mutual agreement that he would be unavailable for some games, practices and meetings. That’s because Howle’s son, Ty, was competing in his senior season as a member of the Penn State University grid squad. The coach wasn’t about to miss the joy of watching his son finish out his successful college career. 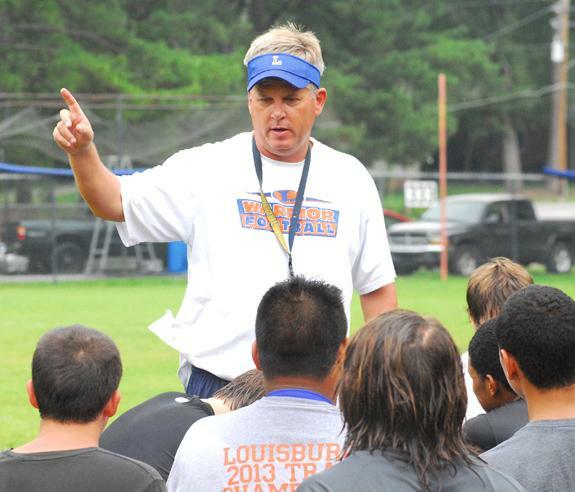 LOUISBURG -- Almost two decades have passed since Louisburg High School was represented by a coach at the annual North Carolina Coaches Association East-West All-Star Games. 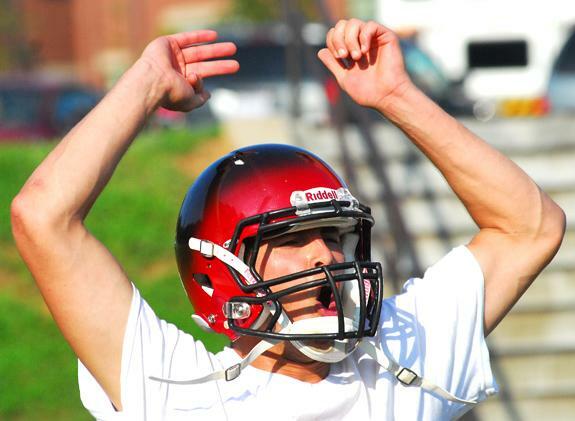 That will change next summer as LHS gridiron skipper Chris Lee will serve as an assistant coach for the East Team. The event will be held in July at Jamieson Stadium in Greensboro, and Lee will be working under head coach Jimmy Williams from West Johnston. ERIC ON THE LINE. 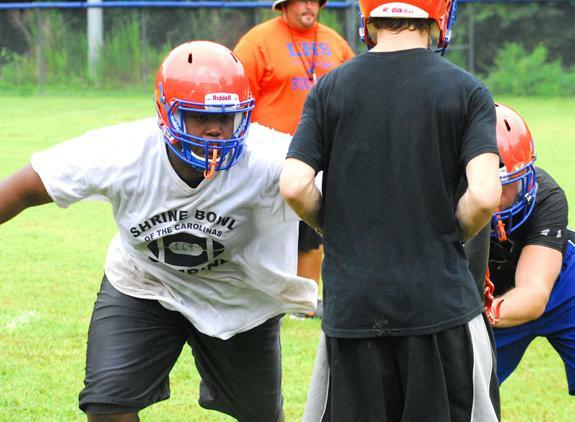 Veteran Eric Price (left) is a key returnee on the offensive line for the 2014 Louisburg High School football squad. LOUISBURG -- Over the past 20 years, Louisburg High School has gained a well-earned reputation for its ability to produce quality running backs. The list is impressive -- Jeremy Arrington, Ricky Person, Hakeem Strickland, Greg Small, Ervin Hunt, Antonio Smith and many others. FREDERICK, MD. -- The Frederick Keys scored four runs in the third and claimed a rain-shortened 7-3 victory over the Carolina Mudcats in eight innings on Tuesday night at Harry Grove Stadium in a Class A Carolina League baseball game. The Mudcats (21-23, 50-61) dropped their fifth straight. The Keys improved to 20-23 in the second half and 52-58 overall. READY TO PLAY. 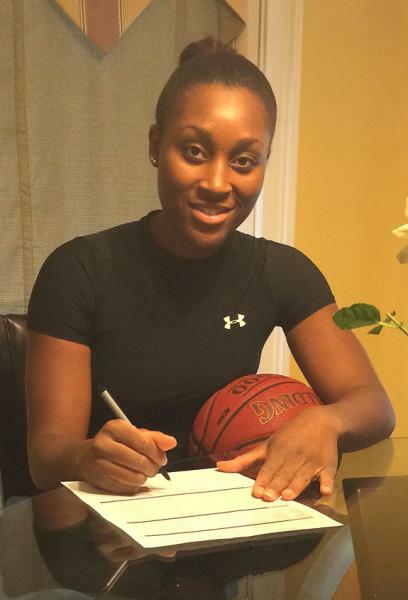 Ikiah ‘Cam’ Palmer, a transfer from Kentucky State University, signs a letter-of-intent to join the women’s basketball program at Louisburg College. LOUISBURG -- When Shay Hayes was a standout at East Carolina University, she was regarded as a tenacious performer who used mental toughness -- and plenty of skill -- to develop into a high-level player. Hayes had a competitive streak at ECU -- and that’s an attribute she requires of all of her players at Louisburg College. 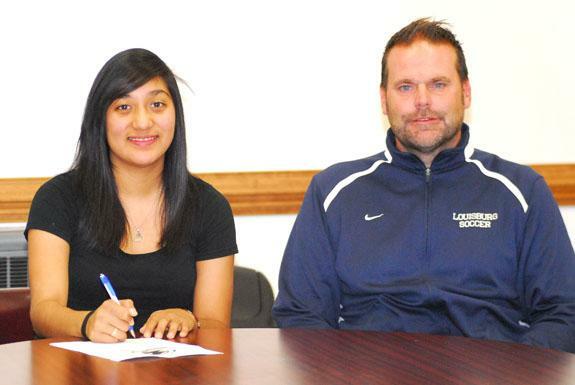 LOUISBURG -- Lucy Perez’s recruitment to Louisburg College might have been the longest in the women’s soccer history of the school. LC head coach Andy Stokes first pursued Perez when she was a senior at Bunn High School in 2013. Perez initially declined the opportunity, though Stokes indicated that the offer would stand over time. FRANKLINTON -- The Franklinton High School Red Rams will begin their 2014 boys soccer campaign on Aug. 20 with a home match against Oxford Webb. 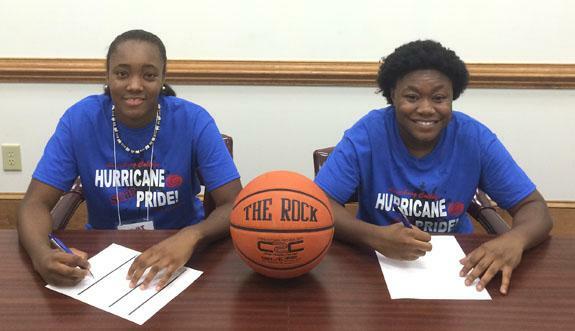 (L to R) Iresha Cooper from Hemingway, S.C., and Andra’ Anna Pool from Durham Riverside sign letters-of-intent to play for the women’s basketball squad at Louisburg College under Shay Hayes. 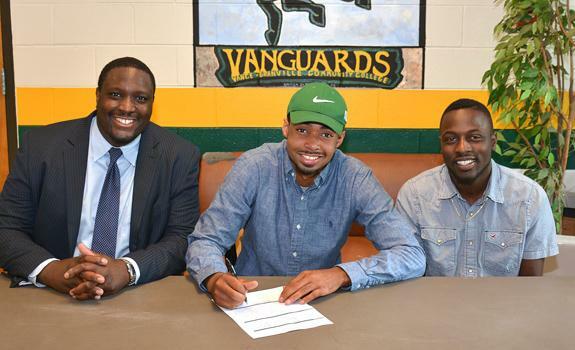 Marshall Kristopher (Kris) Whatley of Fayetteville recently signed a letter of intent to join the men’s basketball team at Vance-Granville Community College next season. Whatley is flanked by (l to r) Matthew Johnson, assistant coach for the VGCC Vanguards, and the student-athlete’s brother, T.J. Robinson. Whatley (6’1”), a guard, played for 71st High School and then started his collegiate athletic career at Lenoir Community College in Kinston. 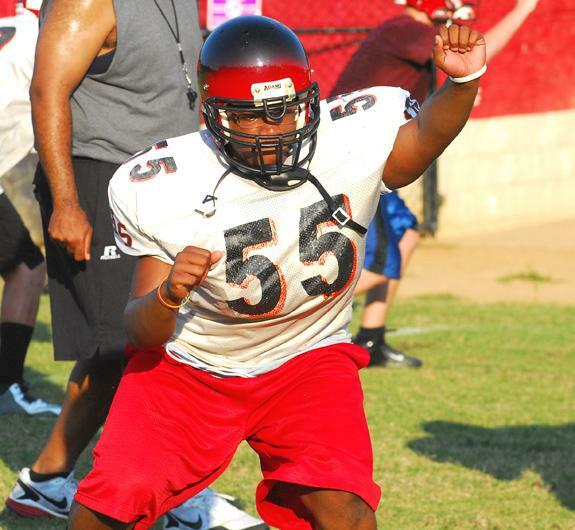 Franklinton’s Christian Harris works on his blocking skills during a recent football practice. Research shows there are two types of people: Those who trust folks until they violate their trust and others who believe trust must be earned. For those of us who trust immediately, it may be difficult to believe there are people out there making a living out of deceiving or scamming others. I do not know of any one person who does not want to improve his/her life and be happy. To want to be happy is the nature of every normal human being. Unfortunately it is not a matter of shaking a magic wand, or just waiting for it to happen. We have to work at it, get with it, and be consistent. For some people, happiness is a hard task to accomplish, but for others, it is not so difficult; our general happiness can be improved in no time by just putting our minds to it. 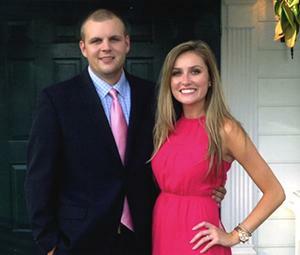 Gil and Debbie Holton of Louisburg announce the engagement of their daughter, Bethany Holton, to Clark May of Louisburg. The groom-elect is the son of Scott and Bobbie Jo May of Louisburg, and Melissa Perkins of Reidsville. An October wedding is planned at Louisburg United Methodist Church. In April of 1820, James Houze, the owner of a substantial farm on Lynch Creek in Franklin County, traveled to Louisburg on an unusual mission: to free his slave Thomas. He did this in recognition of Thomas’s complete honesty and solid work ethic. Houze believed that his slave would become a productive citizen. Future events proved him to be correct in his assessment. 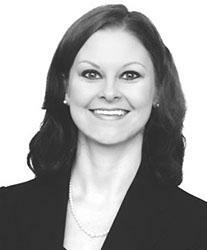 Jennifer Jones, a senior manager at Grant Thornton, LLP, recently received the 2014 Meredith College Recent Graduate Award. The award is given to an alumna who has graduated from the undergraduate program within the past 10 years and has achieved significant accomplishments in her career and volunteer pursuits. 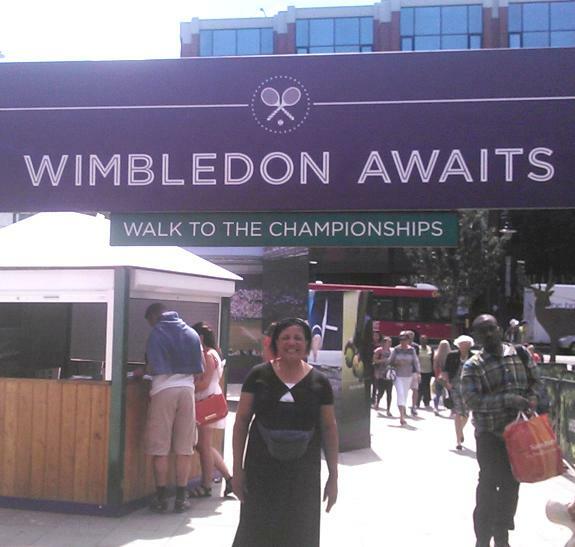 Franklin County resident Victoria Greene-Epps, who teaches in the Granville County School System, was recently awarded a Rural Trust Global Teacher Fellowship to travel and study a “Tale of 2 Cultures” in Paris and London. The Rural Trust Global Teacher Fellowship supports unique personal and professional development experiences for rural teachers. Sheriff’s deputies arrested a Raleigh man following a vehicle chase and jump and run. Ricky C. Shipman, 31, was charged with fleeing to elude arrest, reckless driving to endanger, driving while license revoked, and resisting a public officer. Dep. D. Barrett said he was sitting in the Bunn Middle School parking lot when he saw a car pass by at about 70 mph in a 45-mph zone before 3 a.m. on July 29. RALEIGH — Lillian Gupton, a student at Louisburg High School, recently served as a page for the North Carolina House of Representatives. She is the daughter of Kent and Audra Gupton of Louisburg and was sponsored by Representative Thom Tillis (Republican-Mecklenburg).